I love to help to make our world better, that’s why I helped NGOs in numerous cases, donating money, clothes or food, depending on the case. However, I would like to help them by contributing with my professional knowledge too. I offered my services to some local NGOs before but until now I have not had the opportunity to help them. That’s why I’m writing this post. This year I want to help one organisation to improve their image and visibility. Due to my schedule, I can only help one organisation. – A social or cultural entity, not affiliated with any political party or religion. – Your activity could be local or worldwide, it doesn’t matter where you are. I can help you with your website if you need a redesign or even if you need a website from scratch. I can help you by designing your corporate identity such as your logo or a corporate catalogue. 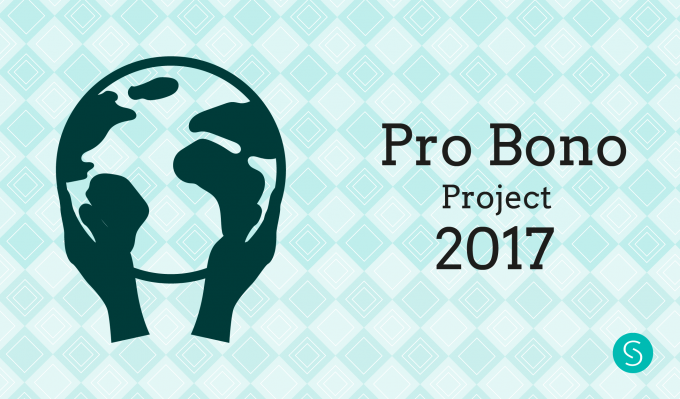 If your organisation meet these requirements and you would like me to help you write me to hello@sabrinacouto.com with the subject Pro Bono Project 2017 until February 15, 2017. I would love to know about your project!